A Red Postman Butterfly (Heliconius erato), captured at the Tropical House, Copenhagen Zoo. A Tiger Longwing Butterfly (Heliconius hecale), captured at the Tropical House, Copenhagen Zoo. A Glasswing Butterfly (Greta oto) on a Hibiscus plant, captured at the Tropical House, Copenhagen Zoo. A Glasswing Butterfly (Greta oto), captured at the Tropical House, Copenhagen Zoo. An Owl Butterfly (Caligo eurilochus), captured at the Botanical Garden in Prague. An Owl Butterfly (Caligo eurilochus), captured at the Tropical House, Copenhagen Zoo. A Blue Morpho Butterfly (Morpho achillaena violacrus) from South America taken at the Tropical House, Copenhagen Zoo. A Peacock Butterfly (Nymphalis io) sitting on a Butterfly Bush at a local cemetery. A Tortoiseshell Butterfly (Aglais urticae) feeding on a blooming Bishop’s Weed. A Painted Lady Butterfly (Cynthia cardui), captured in my backyard. A Common Blue Butterfly (Polyommatus icarus), captured in my backyard. A sleepy Bumble Bee captured in my backyard. A Wasp feasting on an apple, captured in my backyard. A feeding Hoverfly captured in my backyard. Close-up of a Tachinid Fly, captured in my backyard. Close-up of a Bluebottle Fly, captured in my backyard. Close-up of a Wolf Spider, captured in my backyard. 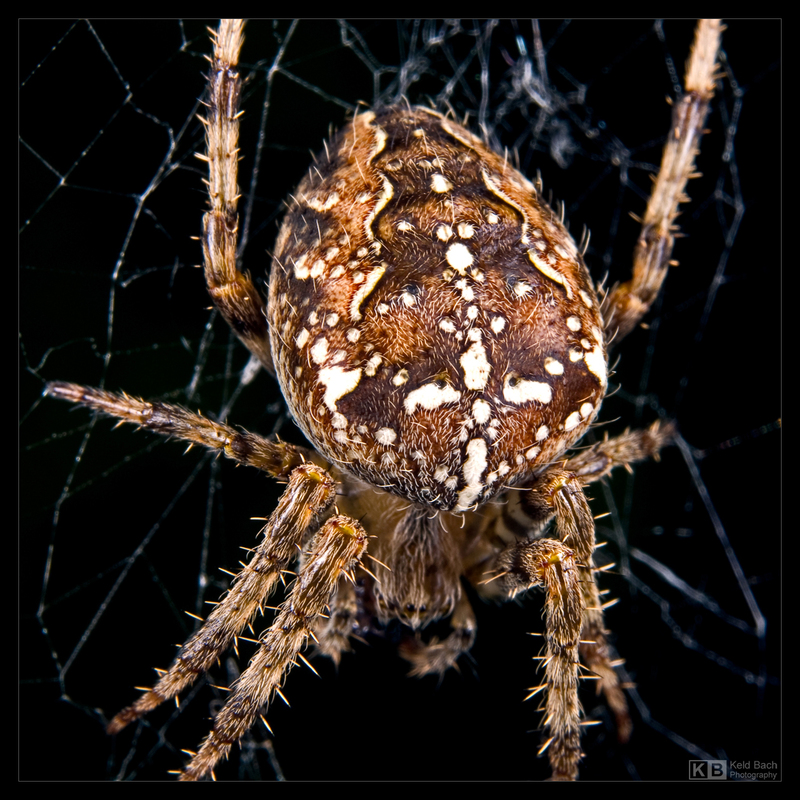 Close-up of a common Garden Spider, captured in my backyard. Close-up of a common Ladybug, captured in my backyard. A pair of mating Red Soldier Beetles, captured in my backyard. A stand off between a Specked Bush-Cricket and a Crab Spider, captured in my backyard. A close-up of a Specked Bush Cricket, captured in my backyard. A colourful Shieldbug (Acanthosoma haemorrhoidale) sitting on top of a Houseleek leaf. Black Garden Ants tending to a herd of Aphids (plant lice), captured in my backyard. My little green mossy spot had a curious and exploring Grove Snail visiting. Also known as the Brown-Lipped Snail. A pair of mating Burgundy Snails, captured in my backyard.